One of the modules being manoeuvred in place on the top floor of the Gregal project. The month of March has been of very special importance to us, as one of our projects, Gregal, marked a great milestone in the way we realize the dream home and the way we will see construction in future. The first of its kind for us, and for the luxury real estate market, Gregal is a 450 square meter modular prefabricated luxury house, with all the qualities of a traditionally built house, with reduced construction time, more than half of the construction time to be more precise. First of all we should start by explaining what a prefabricated/modular house is: it is a type of house whose constructive system, or part of it is premade in a factory before the work begins on site. This way construction costs are reduced, as well as the impact on the environment - they are usually manufactured with more sustainable materials and processes than a conventional built house, and reduced noise pollution from the work itself, which is a major advantage on Mallorca, especially the South West area where traditional construction sites generate high levels of noise pollution. What are the advantages of a modular/prefabricated house? Apart from the reduced impact on the environment, the construction in the factory allows to have an own storage space from the beginning of the construction, of all the materials and elements that are going to be part of the construction process in any of the phases of the construction. It is a private space and protected so that there are no problems of deterioration by environmental agents or other elements. 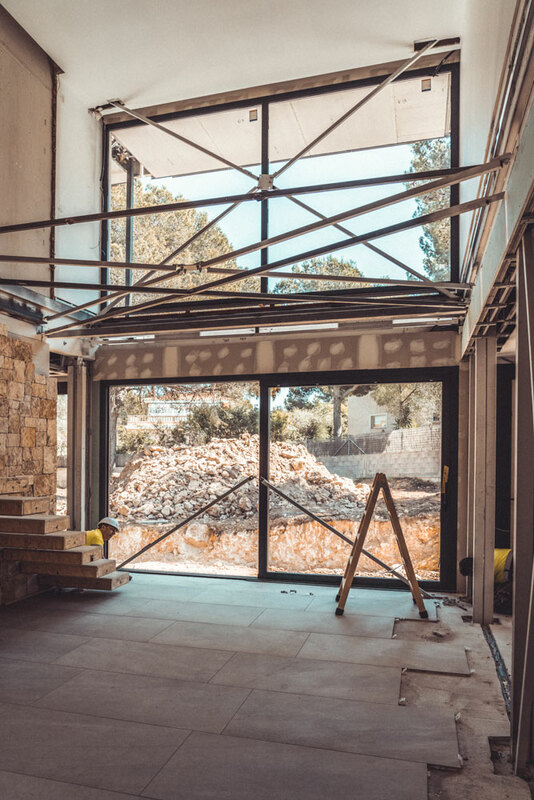 It also allows you to forget all the setbacks involved in the distribution of the different materials throughout the different phases of construction. There are no failures or delays in the distribution that cause uncomfortable delays in the execution and delivery times of the work, with periods of construction that grow longer and longer and seem never to end. Furthermore, no time is lost in the assembly of auxiliary resources, nor in the preparation of the plot for months of work. It is not necessary to use time and money to assemble scaffolding, install cranes, protection and safety measures, auxiliary means for workers ... All the necessary auxiliary means are inherent in the factory itself, which already has the machinery and the necessary spaces for each constructive phase and for the employees. The construction is completely dry, using prefabricated materials, which facilitates the speed of assembly. The entire manufacturing process is technified, this means that, as in other sectors of the industry, the construction process is designed and programmed so that it is carried out using machinery and reducing manpower. The houses are created based on modules which the client has the freedom to build according to their needs, with the only condition that the must be transportable, and, once manufactured, they are assembled on the chosen plot of land. Special transports are used to move surfaces of up to 90 square meters totally finished. 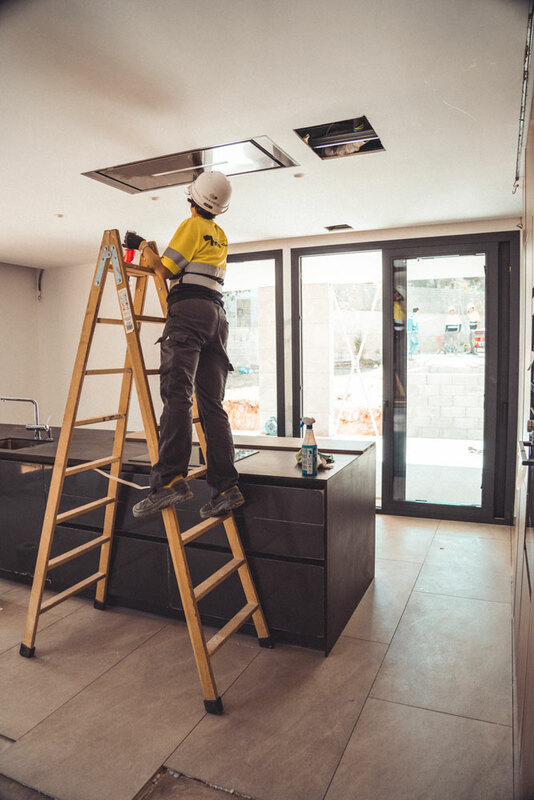 When we say the houses are transported finished, it means that they travel and are installed with the countertop of the kitchen island placed, with the lighting installations, the heating system and the floor-to-ceiling shower screen in place, bath tub, even with the mirrors. The “implantation” of the houses lasts between three and six hours, depending on the size of the house, finally all the connections are joined together and the finishing pieces between the modules, thus the houses can be delivered in about a month from the implantation. As a result, the manufacturing process of the home is established in five months from signing of the contract. What do a modular house and an ordinary house have in common? 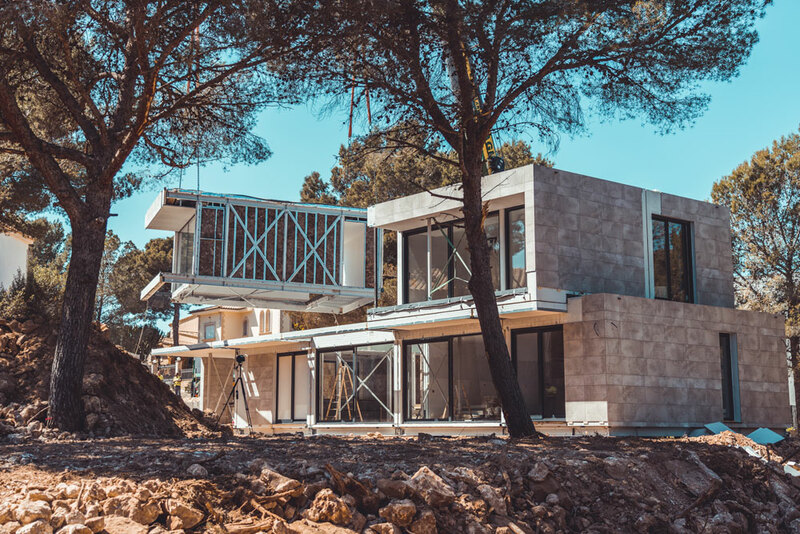 The finishes are exactly the same in both, to the point that, at first glance, you could never tell the difference .Making a house with prefabricated concrete walls is a more efficient way than building it brick by brick, it's a more modern way. Progress is now being made in a sector that was becoming obsolete, everything progressed apart from construction. Previously, it was thought that having a prefabricated house was to have a house of poor quality, because it was compared with making industrial warehouses, and that, fortunately it is the opposite of modular houses. The homes have a structure that combines steel and high resistance concrete that allows to have a resistance superior to any requirement against earthquake or any other that establishes the Technical Code.